View cart “Stories and Teachings about Pregnancy, Birth and Infant Care” has been added to your cart. The scarf represents the collaboration between NACM and CAM, and serves as a commitment to this relationship into the future. It commemorates the signing of a Memorandum of Understanding between the two organizations that recognizes and promotes NACM as the national voice and leading authority on Indigenous midwifery and Indigenous reproductive health. 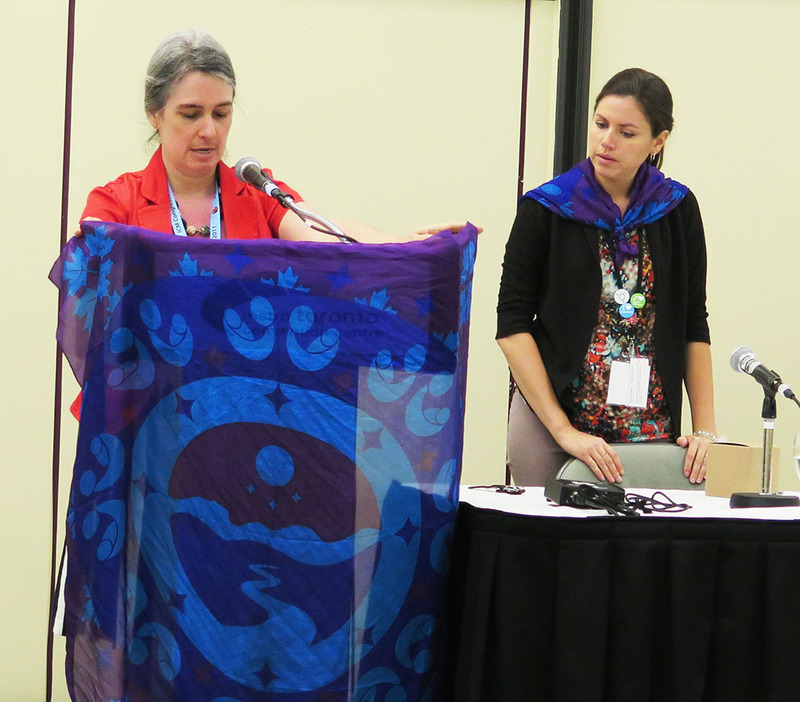 Scarves were given to all CAM and NACM members at the ICM Congress 2017. 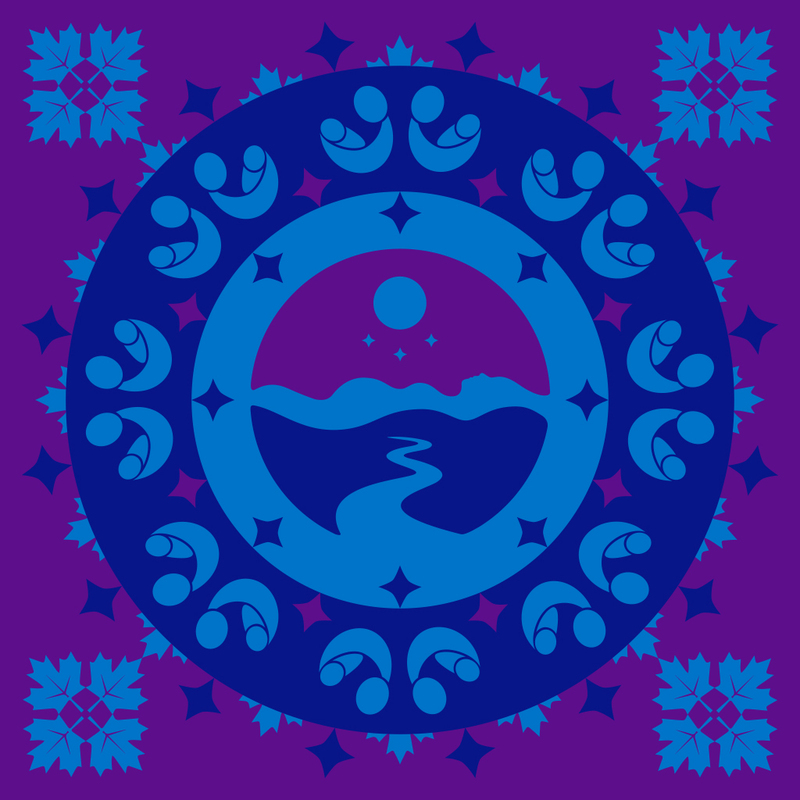 Created by Montreal-based Design Postimage, it features the CAM parent and child logo encircling the National Aboriginal Council of Midwives icon, designed by Sara Morley in collaboration with Levi “Snk’lip” George from the Syilx Nation in British Columbia. 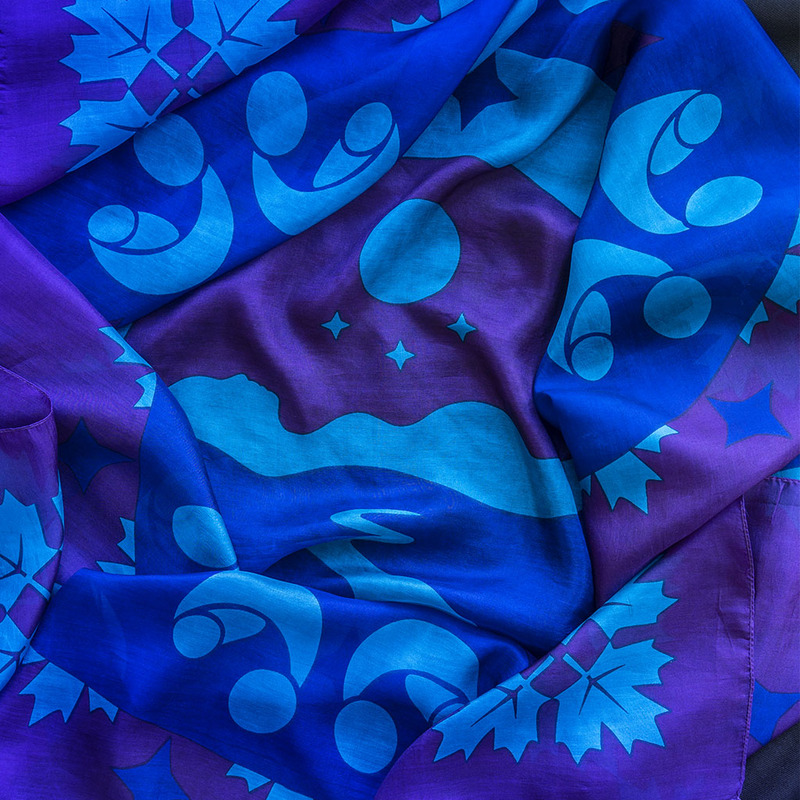 The scarf was printed by a small company in Kashmir that follows Fair Trade and Fair Labour practices.